Having a child medically or legally kidnapped by the state is one of the most difficult things that a family could ever experience, as many parents tell us every day. Parents tell us that there is nothing that compares to the despair and hopelessness of being powerless to protect one's children when Child Protective Services takes over. The system seems designed to break down both parent and child, and some who have fallen prey never recover from the devastation. 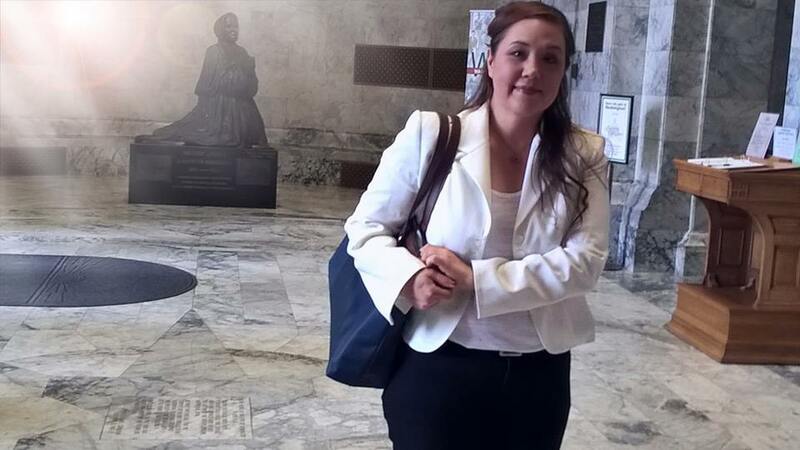 Anne Giroux of Washington State is a mother who has lived through this trauma, and has decided to turn her experiences into something that can help and inspire other families. She is running for local office. When she realized that candidates have the ability to have their voices heard as they speak out about their platform, she decided to learn how to run for office. She has taken the bull by the horns and is now an official candidate for Legislative District 28 for the office of State Representative Position 1. I am so glad we actually have someone like you to make changes and try at least to put our words out there. That there is a corrupt system. Which is CPS included with these uneducated Doctors. I am a victim of CPS. My son was medically kidnap from me and put on foster care. I was 18 now I'm 25. Its been 6 years without my kids. Now I just found out another couple dealing with the same doctor that accused me back in 2009. They put it out in the media for a reason for help. I'm here to prove that they are right and doctor wrong. Our kids suffer from brittle bone disease. Vitamin D. Def. Multiples fractures were found on these two infants. Same exact conditions. But we were founded guilty of child abuse. I can't get a employment. They have me in child-line. Sad world. I know so much about the law now then I did back in 2009 when I was 18. I've done research like you wont believe. I have studied the rights CPS violated from me. And I have so much knowledge CPS can't shut me up now. I am currently seeking attorney. Have you looked at clsnet.org for an attorney? Thank you for your support! I am sorry your son was medically kidnapped by CPS. My heart goes out to you. Your 2009 story is an example of CPS long history of medical kidnapping because it has the power to do so. CPS can obliterate families because they have the power to do so and this is saddening.I wish you and your future good luck. so sorry this happened to you, I brought up 4 wonderful children and cannot imagine the heartbreak you must be experiencing from this terrible system. God Bless you and your children, and I hope you will get them back in due course. Thank you for your message. I am sorry your son was medically kidnapped- heartfelt! I wish you and your future the best. May your attorney achieve the highest good for you and your son. Thank you for your comment. Your show of support is appreciated. Many blessings to you! While this is commendable... I would hesitate to vote for someone like this. Does she understand economics, the Constitution, Natural law, the Fed, God given rights etc? Good for her. I hope she does well. Anne, if you are reading this, do you know of the story out of Vancouver, WA where police illegally entered the home of a WA couple and stole their 3 children? Please familiarize yourself with it and help to get this video out to the public.